The reality of the rental business is tenants come and go, but as a property owner, there are things you can do to reduce the likelihood of your tenants moving on at the end of their lease. We’ve compiled five tips to help you turn those short-term gypsies into long-term residents. Property prices often fluctuate and vary from suburb to suburb, but most tenants will understand that rent prices are subject to change. This doesn’t mean you should drastically increase your rent. That is why it’s vitally important that your property manager has their finger on the pulse in terms of expected rent in your suburb. 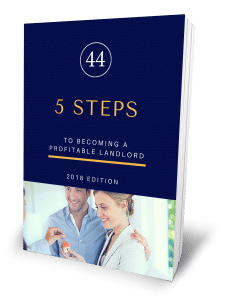 Too much of an increase and your property becomes vacant resulting in hundreds of dollars in lost rent, or not at all and your missing hundreds of dollars in potential cash flow. By taking care of the property, tenants feel that you are also taking care of them; and a tenant that feels valued and respected is far more likely to sign on for another term. This also keeps your property at maximum value. Don’t just put these issues in the ‘too hard basket’ take care of them ASAP. Once again, this is about showing the tenants you care about them just as much as the property. To feel right at home, some tenants may want to make changes to the property, like interior decorating or planting a small garden. If they are willing to invest a little time and effort into the property, then these are generally the kind of tenants who are in it for the long run. Pets are another popular request that you should consider allowing. Most property owners are against pets, which means good tenants will be encouraged to stay put. Keeping long-term tenants means building a relationship that is more than just collecting rent and routine inspections. Consider sending them a little thank you card, it’s a simple but effective way of showing the tenant that you value them as more than just a source of income.